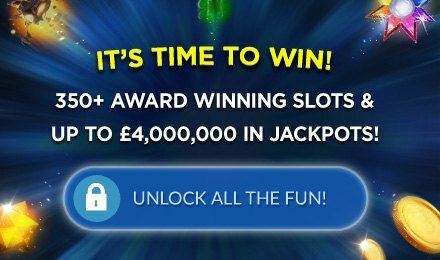 Journey To The West Slot | Wicked Jackpot To Play! Well, how about a journey to the royal life styles of Chinese Emperors? On this exceptional slot game by Pragmatic Play, witness the dazzling elements straight from China reunited in the same gameplay. Journey To The West Slot is truly amazing. You will be baffled by the numerous, high quality symbols and designs included in the game. Are you ready to bring the Chinese fortune by your side? You can totally do so on this five-reel slot game. Journey To The West Slot is a Chinese themed game. With the reels adorned in crimson colours, you will surely love to immerse in the exotic ambience. The reels are also lined with a pagoda arch decorated with floral designs. Chinese lanterns, hanged by the sides are illuminating the dark background. On Journey To The West Slot, a gorgeous Chinese music plays in the back. You can adjust your bet on Journey to the West Slot using the + and - buttons on the Coin Value display. Select 1 to 10 coins per line. After all your preferences are set, hit the Spin Tab. Watch out for the Auto Play feature which allows you to play 10, 20, 30, 50, 70 or 100 automatic rounds! It can also be stopped using the different settings provided. Bet Levels: On Journey To The West Slot, there are no Bet Levels. You are only offered options to amend the values of your stake. Amount of Paylines Selection: The slot game features 25 fixed pay lines. As such, the game does not offer any option to change the number of active lines during gameplay. Coin Values: You can select the values of your stake from a range of given values. Simply access the Coin Value area and navigate through the given values using the minus and plus buttons. Players may set any values from the following list; 0.01, 0.03, 0.05, 0.10, 0.20, 0.50. Journey To The West Slot displays a Wild Symbol, easily recognised as a dragon pattern with the word WILD on it. The Wild symbol can act as a substitution for any other symbol of the game and form a winning combination. However, it cannot substitute for a Scatter Symbol. The Scatter Symbol is displayed as the Free Spins icon. In the event you land three or more Scatter Symbols on your reels, you activate the Free Spins Feature. You will then be awarded five initial spins. Each time you get an extra three Scatter Symbols on your reels during the feature, you are awarded an additional three Free Spins. Are you ready to play this Chinese-themed slot game at Wicked Jackpot? Connect through the casino site to play this awesome game and gather some bonuses on the way!